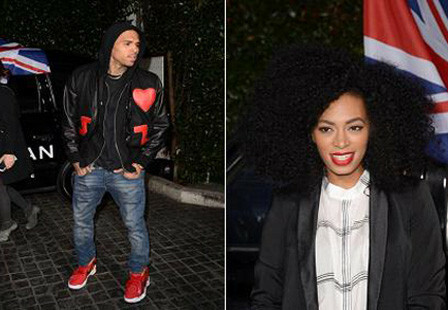 What makes Chris Brown and Solange Knowles Different? Do I smell Double Standard? When the news of Solange attacking Jay Z broke and seeing the reactions to it, the one point I made severally was that there is/will be a double standard. So far I have not been proven wrong. I am always for the ladies and I will jump to defend any woman I feel is being wronged, so much so that I have been tagged a feminist severally. One thing I do not let my belief that women should be treated well delude me from however is, seeing something that is unfair and convincing myself that it is ok because a woman did it. Apparently due to me being vocal on twitter about this, one of my followers sent me an article written by Katie Gonzales. I will share parts of the article I felt she wrote pretty much stating parts of what was in my head. Will Solange be charged? Why is it funny when it is a man getting abused? I always say, if you put hands on a man and he hits you back, do not complain, so it is always better to keep your hands to yourself. Now, do I think Rihanna hit Chris Brown 1st? Honestly? a part me says yes she did, but what we do not have, unlike JayZ and Solange is a video to prove it. If JayZ had hit her back would he have been seen as the bad guy? Would the media spin it to make him look bad? Chances are YES!. My thought exactly. Why are ppl so hard on chris?? According to reports, riri hit chris 1st and he retaliated(but it was too much). Chris was a very young man(abt 18 or thereabout). Jay z didn't retaliate cos he is a very matured ma(44, old enuf tobe chris' father). Acoording to Whoopy on 'the talk' if a girlis strong enuf to hit a man 1st, then she shld be strong enuf for his retaliation. They shld release chris jare. Enuf of the humiliation. I agree with you. when it is a woman, people think it is ok. domestic violence is never ok and men get victimized too.how are you tony? Let’s imagine say JayZ na Chris Brown and Solange na Riri. For her life she no go try am again. I understand how women feels. Majority of them hits their man partly to vent their anger plus the fact that they love him.